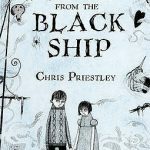 Tales of Terror from the Black Ship by Chris Priestley — YA historical horror. Tales of Terror from the Black Ship follows the same format as Uncle Montague’s Tales of Terror, in that it’s a collection of themed short stories framed by an overall tale. I’m a big Chris Priestley fan anyway, but this book has shot right up amongst my favourites. Delicious scares and twists galore. 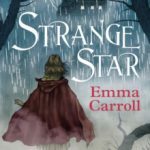 Strange Star by Emma Carroll — MG historical. Strange Star was inspired by Frankenstein and Mary Shelley’s writing of her masterpiece. It came out last month, but I’ve wanted to read it ever since I first heard of it. It wasn’t as Gothic and creepy as I was hoping, but then it is MG! 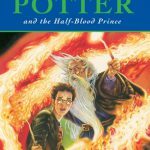 A good read. The Creeper Man by Dawn Kurtagich — YA horror from the author of The Dead House. One of my most anticipated books of the year. The Dead House was genuinely terrifying, especially for YA, so I expected more full-on horror — and I definitely got that! The Creeper Man is not for the faint-hearted — it contains many disturbing moments — but there’s also a great mystery at the heart of the story that kept me turning pages. 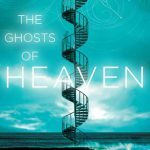 The Ghosts of Heaven by Marcus Sedgwick — YA fantasy composed of four short stories set from the distant past to the future, and all linked in some way (a little like Sedgwick’s Midwinterblood). I really enjoyed it, especially the last two stories. 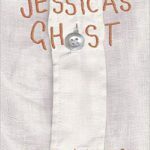 Jessica’s Ghost by Andrew Norriss — YA contemporary / paranormal. I remember seeing lots of love for Jessica’s Ghost when it released last year. I wasn’t sure I’d enjoy it when I heard some of the hard-hitting themes it deals with (suicide being the biggest), but I thought Norriss handled those themes brilliantly, and I felt uplifted rather than dragged down. A simple but well written tale. 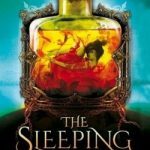 The Sleeping Prince by Melinda Salisbury — YA fantasy, second book in The Sin Eater’s Daughter trilogy. A well developed fantasy world; I can see why this series has lots of fans. 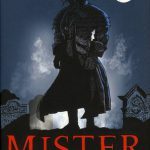 Mister Creecher by Chris Priestley — YA historical horror. 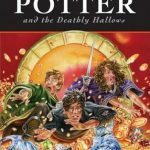 My second Frankenstein retelling of the month! Priestley’s retelling follows the monster as he stalks Frankenstein around the UK, and is narrated by a London street urchin he befriends on the way. Not my favourite Priestley book, but still a good read. 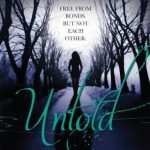 Untold and Unmade by Sarah Rees Brennan — YA fantasy, books two and three in The Lynburn Legacy trilogy. 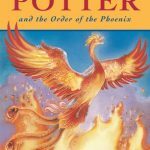 I started this series back in 2013, and didn’t plan to continue, but after repeatedly seeing the other books in the library I finally checked them out. (I hate leaving series unfinished!) 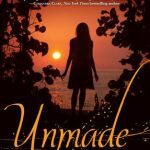 Untold was so-so for me, but Unmade was a great ending. One thing I did love about this series was the banter and humour — Kami, Rusty and Angela are such great characters.